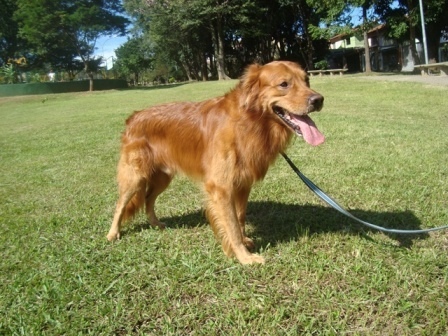 Thor is taking daily walks in a new place near home. 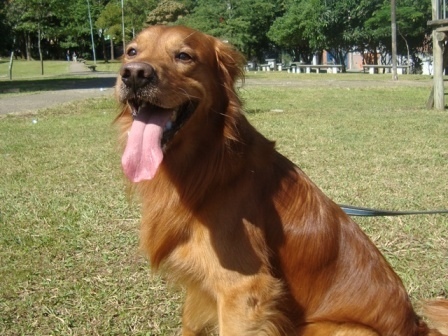 He is happy to be there. 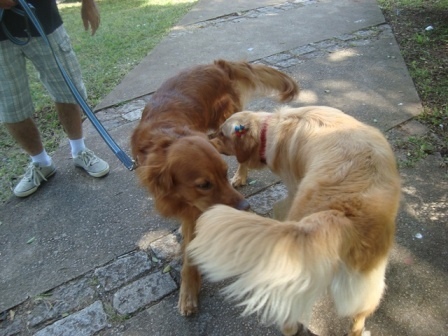 Sometimes he meets some doggies. 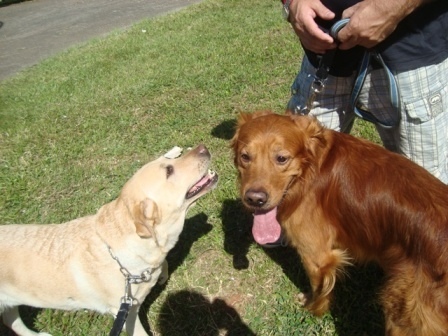 This morning he met Hanna the lab. 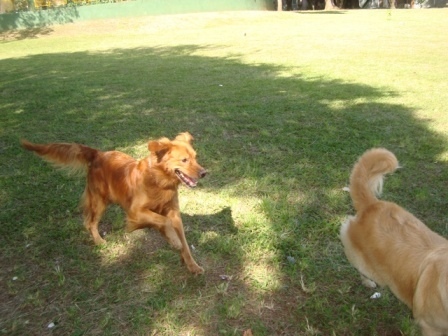 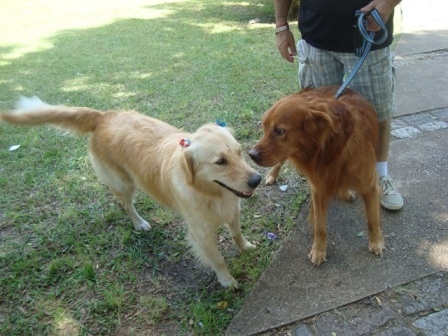 But he was very excited and happy to meet Kaylana, a beautiful goldie with bows in her head.